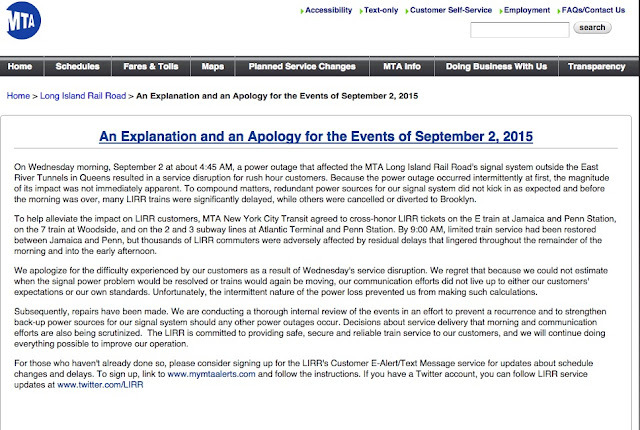 The MTA published an explanation and apology for September 2nd's commuting mess. The letter is little more than a weak attempt at damage control, and it got me thinking that the people who run the Long Island Rail Road's public communications should take a walk down the yellow brick road, see the wizard, and inquire about some extra brain power. I often defend the LIRR when stuff happens, because hey, stuff happens. But in this case, the problem was exacerbated by poor communication, and that's one thing over which they had control. Knowing that service improvements are as likely as getting a decent bagel outside New York, I'll quell my frustration by picking this press release apart. Let's kick this off with what's NOT stated. Where's the mention of the initial blaming of Amtrak? 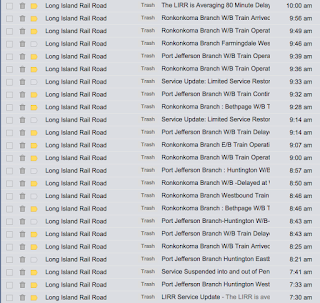 The first few service disruption emails I received laid the blame squarely on Amtrak. LIRR brass then backed off that position and reluctantly took ownership. With no one else to blame, and egg all over their face, they couldn't do much more than offer a "mea culpa" apology, which brings us to the next point. A heartfelt apology. To paraphrase, the letter says, "We apologize for the difficulty. We regret that we could not estimate when the signal power problem would be resolved. The intermittent nature of the power loss prevented us from making such calculations." Then why didn't they say exactly that when it was happening? How about addressing the issue of having communicated unrealistic arrival timeframes? Knowing that the service was in bad shape, why didn't they let people know so they could make alternate work arrangements? 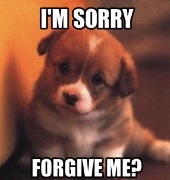 Sorry, but the apology is not worth much. Perhaps they might offer some financial remuneration? Keep reading. Forget you even read that. We are conducting a thorough internal review... Please, spare us the baloney. What difference does this make to the commuter? Should we assume performance improvements or hardened infrastructure? Don't get your hopes up. Sign up for the LIRR's Customer E-Alert/Text Message service. 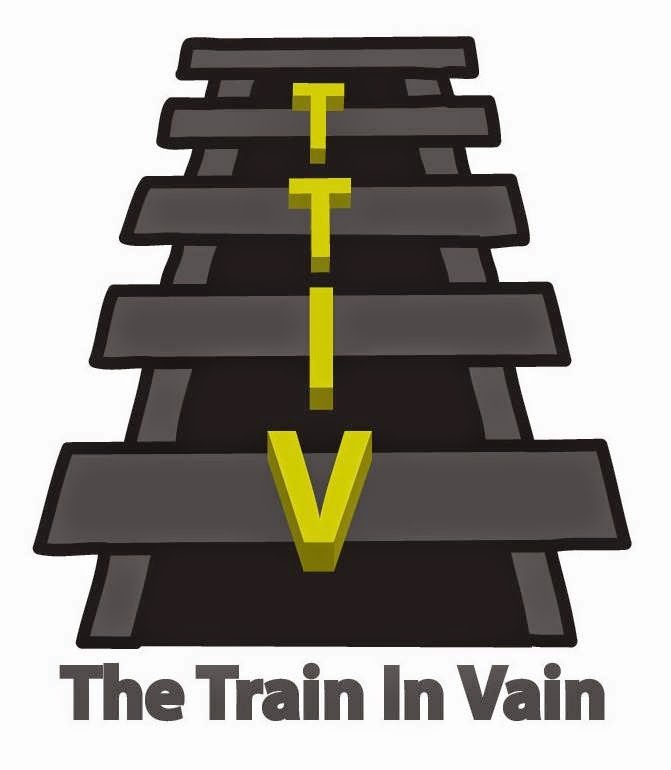 If you read the most recent TTIV story, you may remember that this service was a major part of the problem. Don't send quantity, send quality. 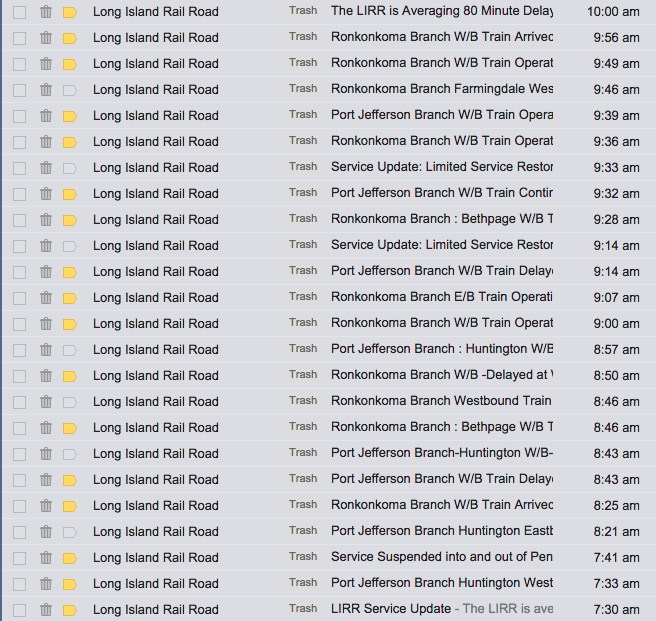 When the LIRR communication team sends 75 vague and conflicting messages, it does not constitute communication. 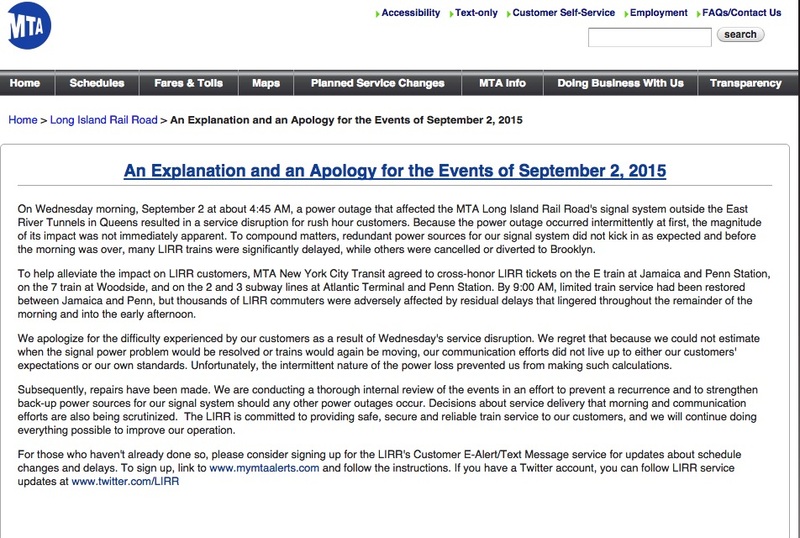 The apology letter goes on to talk about following LIRR on Twitter. I have a suggestion for the LIRR's social media presence. 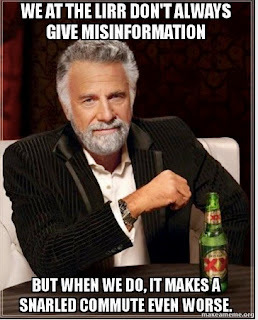 Instead of tweeting useless service alerts, they should share Dos Equis Guy memes and funny cat videos. 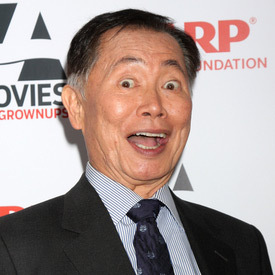 It works for George Takei, so why not the LIRR? It might be a good way to repair their image. Hey, it isn't as though the Twitter account provides any useful information anyway, right?